When was the last time you were genuinely happy with your public record provider? Criminal Information Network is a nationwide, wholesale public records retrieval provider, specialized to meet the needs of the pre-employment screening industry. We process criminal (federal, state, and county-level), moving violation, and workers' compensation claim records throughout the country. One fact that sets us apart from the numerous wholesale companies or small vendors is our commitment to quality. Our Quality Control Department monitors consistency, accuracy, and turnaround time for all clients. Our commitment to quality is also reflected in our continuous "salting" of vendors as well as our periodic side-by-side comparison of existing and new vendors. With our committed team and our knowledge of the industry, we provide a 24 to 48 hour turnaround time in over 80% of the United States. CIN believes that it is the best resource to turn to for information. With our dedicated staff and closely monitored network of vendors, we know we can help you and your business succeed. Many companies look to the small "home town" vendors who rarely carry Errors and Omissions liability insurance; CIN maintains a million dollar per-incident policy to help shield our valued customers. Additionally, we have an in-house attorney for your convenience. We believe in doing business the right way, protecting our integrity as well as protecting our valued customers. What Should You Expect From a Background Service Provider? How many times have you hired a Background Service Provider that failed to meet your expectations? Were they dedicated to getting the right results? CIN believes in our clients - we follow the ladder of success by focusing on your needs. Our dedication and commitment to our clients make us partners in every background check we do. 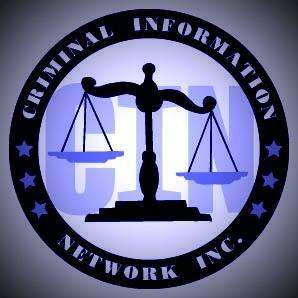 Copyright © 2006, Criminal Information Network, Inc.